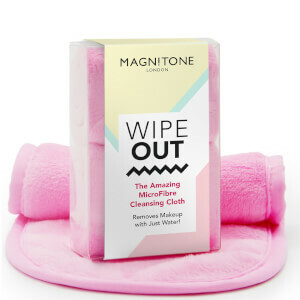 Effortlessly remove makeup with the Magnitone London WipeOut! 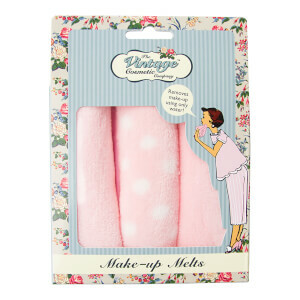 The Amazing MicroFibre Cleansing Cloth; a pack of two cloths that tackle stubborn makeup using just warm water. The cloths are ultra-soft and ideal for sensitive and intolerant skin types. Without causing irritation or dragging on the delicate eye area, the towels effortlessly glide over skin; without the need for a cleanser. Unlike cleansing wipes, the eco-friendly cloths are designed to absorb water and swell when damp. 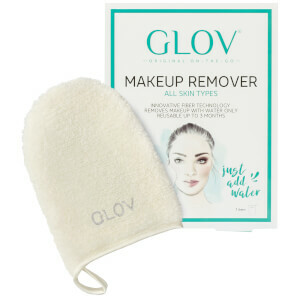 The wet cloth is able to eliminate traces of makeup from skin without smearing them across the face first. 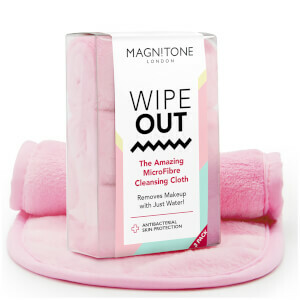 The cost effective cloths are reusable and machine washable, eliminating the need to purchase makeup remover again. 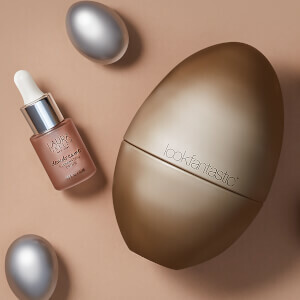 Expect even long-wearing and oil-based makeup to simply melt away, leaving skin clean, cleansed and clear.